What Is the Difference between a PET and CAT Scan? A CAT scan employs X-rays to create still images of an internal structure of the body. A person is required to lay down and be very still while in a CAT scanner. PET and CAT scan technologies are types of medical imaging used to view different aspects of the interior of the body without the need for surgery. A positron emission tomography (PET) scan detects very faint radioactive particles that have been introduced into the body to show how different parts of the body are functioning. A computerized tomography (CAT or CT) scan uses X-rays to build a collection of still images that can be combined by a computer to form a three-dimensional (3D) image of the body's internal structures. 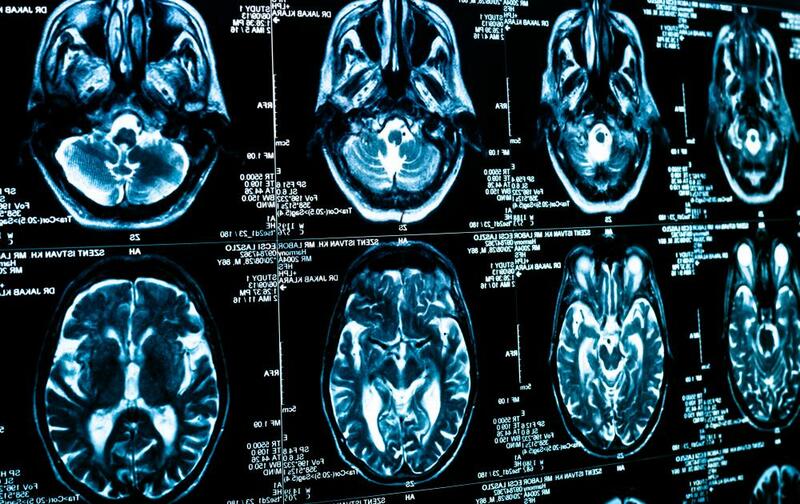 While these are two very different forms of medical imaging, many times a PET and CAT scan will be used in tandem to get an accurate view of how the body is functioning. One difference between a PET and CAT scan is how the actual images are taken. A CAT scan uses a refined version of an X-ray to pass beams through the body; those beams are then recorded by sensors in the scanner. The beams detect different densities of bone, muscle and tissue. A computer then takes all of the information and can either display it as a sequence of frames stepping along the axis of the body, or can digitally stitch the images together and extrapolate a 3D image that can be manipulated and rotated by the doctor. A PET scan uses a different method of acquiring image data from the body. The first step is to inject the patient with very weak radioactive particles that are embedded in a substance designed to be absorbed into whatever part of the body is going to be imaged. After a time, the body will have moved the radioactive particles into the target area. 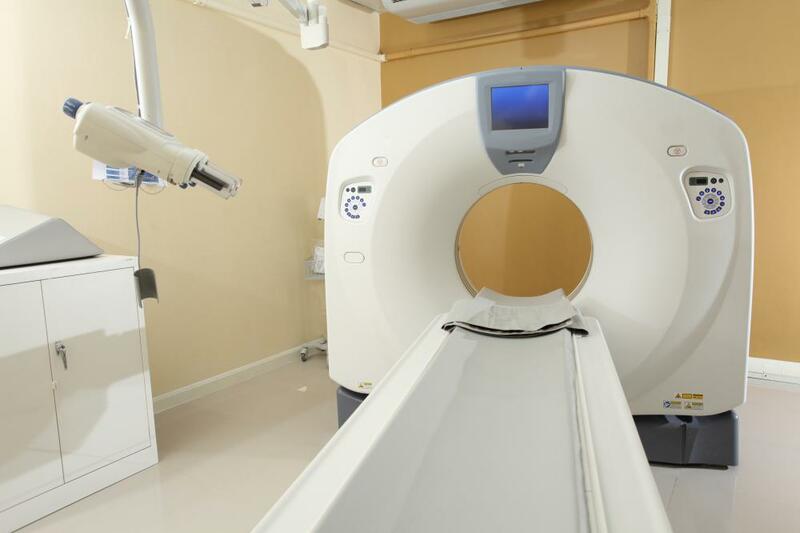 The PET scanner is able to detect the particles and, like a CAT scan, can create a 3D image of activity in the body. The resulting images do not show the physical makeup of the body but instead indicate how the chemical processes of a body are functioning. The use of a PET and CAT scan together allows doctors to have an image of the body that shows both the bones and internal organs as well as the movement of molecules within those structures. PET scan shows functioning, so it can determine living tissue, cancerous areas and tumors. A CAT scan, because it shows the shape of the internal elements, can detect bone fractures, abnormal growths and larger tumors. The PET and CAT scan technologies have some disadvantages. A CAT scan is unable to detect abnormal growths and tumors that are very small. The drawback of a PET scan is that, since the radioactive particles are moving, it can sometimes be difficult to accurately isolate the location of the problem. Regardless, the use of PET and CAT scanning has made it possible to detect and diagnose many types of diseases earlier than can be done with other methods. What Is a 3D Body Scanner? What Is a Beam Scan? What Is a Three-Phase Bone Scan? How Do I Interpret My Bone Density Scan Results? What are the Different Types of Lung Cancer Scan?